← Would You Like That Suit in Blue or Gray? As you may or may not have noticed on the ‘About Me’ section of my blog, I recently wrote a book called New Garden. This coming Thursday, November 7 at 7 p.m. I will have a book signing at Barnes & Noble in Greensboro, NC (Friendly Center, 3102 Northline Ave, Greensboro, NC 27408). If you or someone you know live in the area, it would be great to have you there! 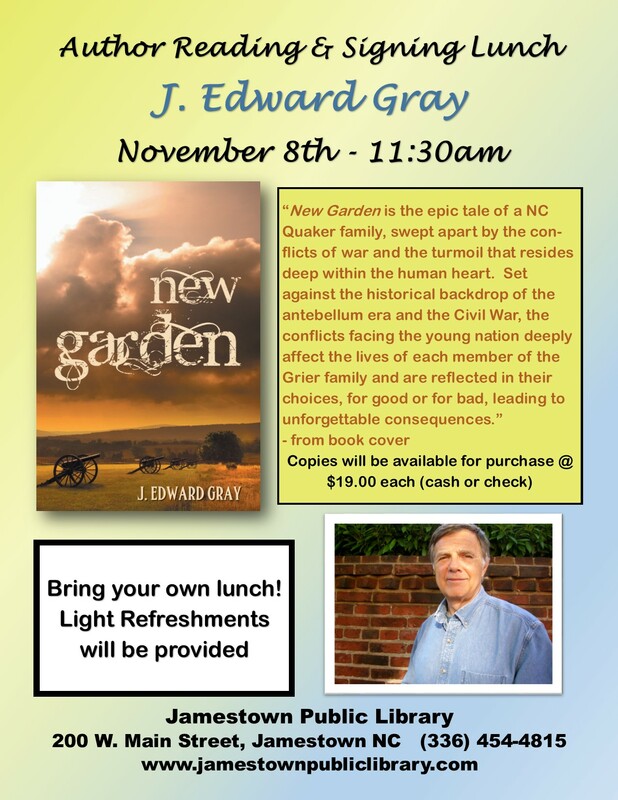 I will also be doing a book reading/signing at the Jamestown Public Library (200 W Main St, Jamestown, NC 27282) on Friday, November 8 at 11:30 a.m. Hope to see you there.